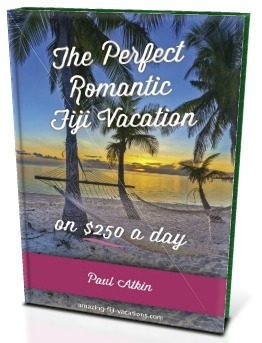 Fiji Romance Guide - A couples fiji romantic guide for $250 a day! Are you a couple going to Fiji on a budget? Discover how to have the perfect romantic getaway in Fiji on $250 a day, by using this romantic Fiji vacation guide. You get to discover the most suitable private resorts, for $250 a day, for couples wanting a private, romantic, and relaxing getaway. * This budget is about as low as you can go for a relaxing worry-free romantic getaway in Fiji. The Beachcomber's Edition - "The Perfect Romantic Fiji Vacation... on $250 a day!" A 30-page special e-guide taking you step by step showcasing 4 stunning resorts & packages for a budget of $250 a day. This "The Perfect Romantic Fiji Vacation, on $250 a day!" e-guide belongs to "The Romantic E-guide" series which has guides for budgets ranging from $250 to $5,000 a day per couple. Visit our hub Fiji Vacation Guides page to check the others out.